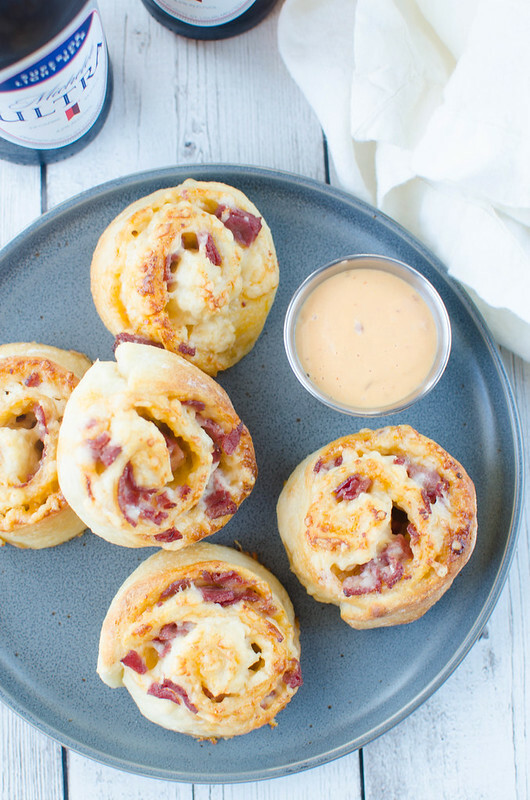 Corned Beef Pizza Rolls – corned beef, swiss cheese, and thousand island dressing rolled up in pizza dough and baked until golden and delicious! 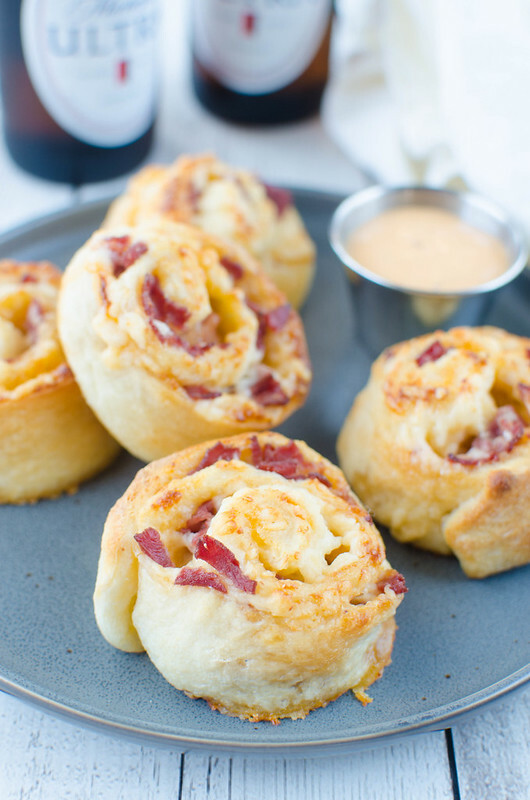 Only 4 ingredients and totally addictive! Hi guys, this is late. Super late. I had a weird week. I actually made a pizza for this post. Like, a real corned beef pizza with homemade slow cooked corned beef turned into a hash and put on pizza crust with lots of cheddar cheese. And then I cracked 3 eggs on top and was sure it was going to be the most delicious corned beef hash breakfast pizza ever created. But I forgot about it and by the time I remembered, the hash was black and the egg yolks were definitely not runny. 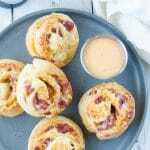 My kids enjoyed these Corned Beef Pizza Rolls so much more anyway. 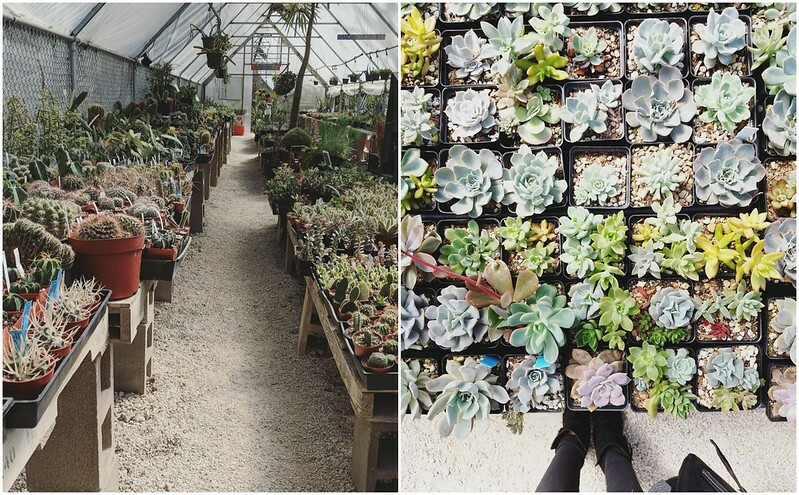 If I could, I would totally move into East Austin Succulents. I stopped in early in the week when I needed to be in Austin for something and had some time to kill. I didn’t need plants and, in fact, I think boyfriend may actually leave me if I bring home many more plants so we’re not going to talk about the pink cactus that I put on the front porch today because he never goes through the front door. Nobody mention that one to him, okay? Anyway, I just like to walk up and down the aisles to see if anything calls my name. It’s so colorful and beautiful and the people are so knowledgeable. I love it so much. Plus, it’s on the other side of Austin which means I pass literally every restaurant on the way home. There may have been an undocumented lamb shawarma on rice from Halal Bros. That rice is so good, y’all. Skip the pita and go for rice. Just trust me. You guys. 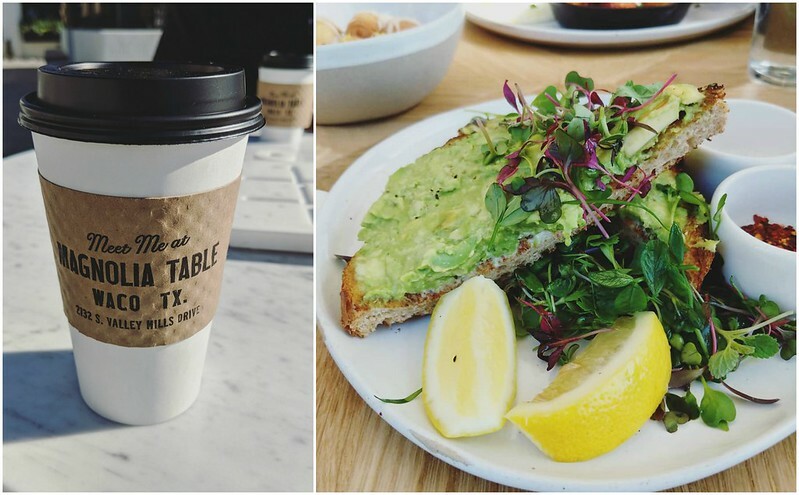 I’ve been so concerned with the Austin food scene that I didn’t even know Magnolia Table was opening last week. BF mentioned it late one night and we were there the next morning because lemon lavender doughnuts! I think we were there on the 5th or 6th day they opened and honestly, the wait wasn’t bad. They have a coffee/juice bar outside so we grabbed coffee and played the marble tic tac toe games that they have on the outside tables and we were seated within 10 minutes. It’s so beautiful, y’all. Everything is bright and open and lavender is growing in all the windows. I wish I’d been able to get more photos of the restaurant itself but it was packed. Which just means that we have to go back soon. 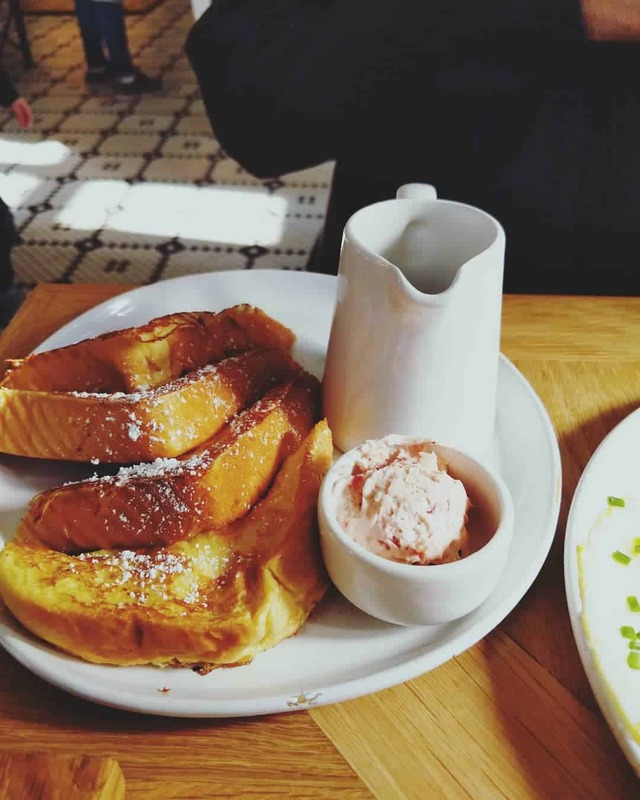 We ordered the doughnuts (duh) and avocado toast and the French toast with strawberry butter. 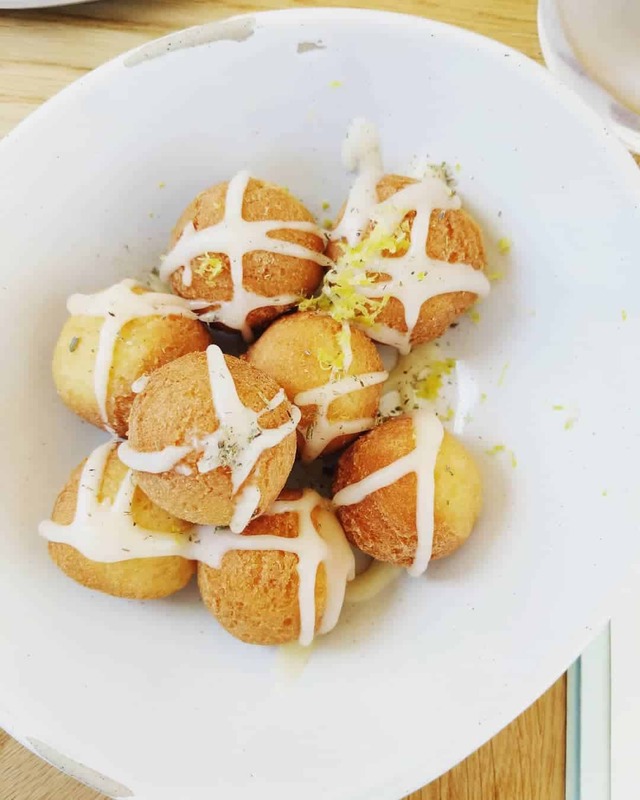 The doughnuts were light and cakey with just enough lavender that you know it’s there. And everything else was delicious. Very simple, but so well done. I’m excited to see how the menu changes with the seasons. That, up there, is my littlest’s spring picture. He came home the day of the pictures and showed me how he posed. 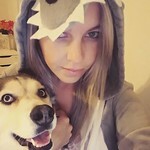 Told me that he didn’t do a “teeth smile” and demonstrated that face but I thought surely, he was just tricking me. 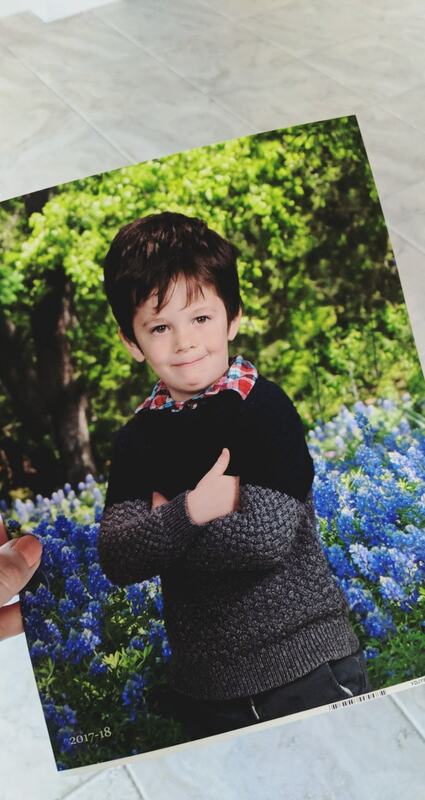 No way did they let him cross his arms and make that face. I died when I saw it. 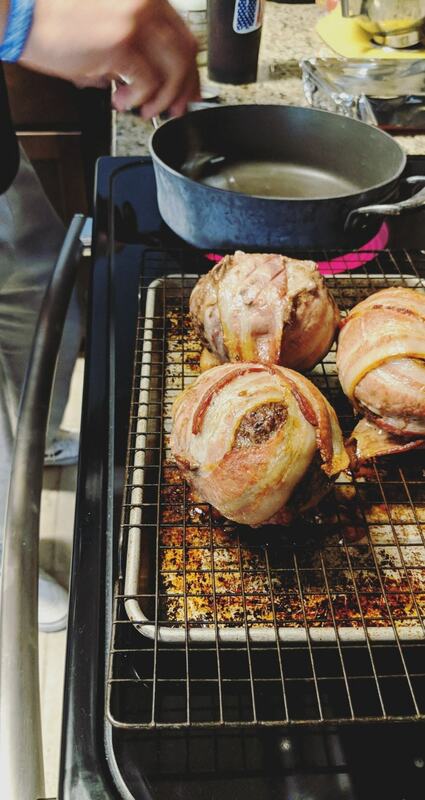 And if you ever wondered what we do on a Friday night around here, it’s stuff avocados with cheese, wrap them in ground beef, and then wrap the whole thing in bacon. And by we, I clearly mean him. I had nothing to do with this monstrosity. Currently reading One Day We’ll All Be Dead and None of This Will Matter. It’s very… political and I didn’t really expect that? Oh! I picked up BraveTart this week because Ruby talks about it nonstop and so far I’ve made the brownies and the oatmeal cookies and I have no regrets over the purchase. Those oatmeal cookies have oat flour, rolled oats, and steel cut oats. I may have to share that recipe here because it’s that good. Also, I baked a batch and then mixed up another batch and froze them in individual portions for cookie emergencies. Discovered Kosmic Kombucha this week and omg, the kiwi one is my favorite thing ever. We binge watched Ugly Delicious on Netflix. I don’t watch a lot of food shows but I loved that. The perfect mix of funny and informative. So these will act as my St Patrick’s Day recipe this year. I love corned beef all year and my go to sandwich is a reuben so these are nothing unusual in my house. 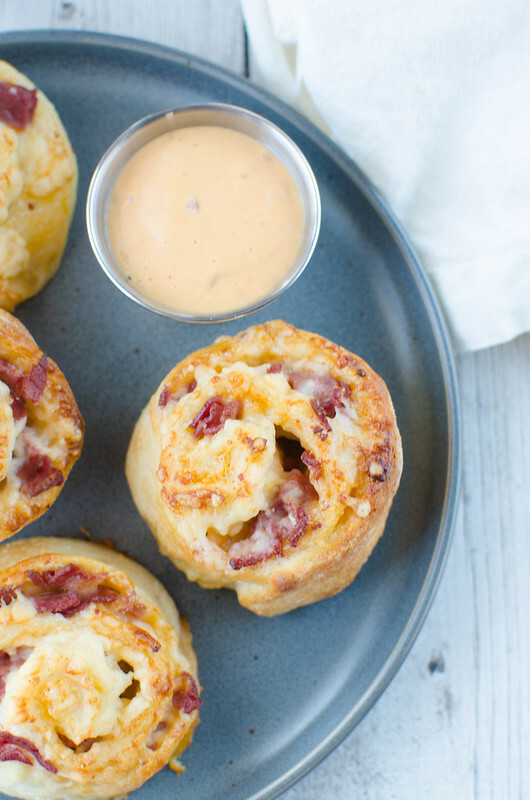 Corned beef and swiss cheese rolled up in pizza dough and dunked in thousand island? Yes, please. Four ingredients, ready in about 15 minutes, and so kid friendly that my kids ate the entire batch. Even the one that “doesn’t like” meat. On a lightly floured surface, unroll pizza dough. Spread dressing evenly over crust. Sprinkle with corned beef and cheese Working with the long side, roll up tighly and press to seal. Slice into 1-inch slices and transfer to prepared baking sheet. Bake 12 - 14 minutes or until browned. Serve with extra Thousand Island if desired.